A Japanese official leaves for his first aisatsu (greetings) of the year. Out of this custom, the more convenient modern custom of sending New Year cards (nengajo) was born. Published in the French illustrated weekly L’Illustration on January 2, 1904 (Meiji 37). 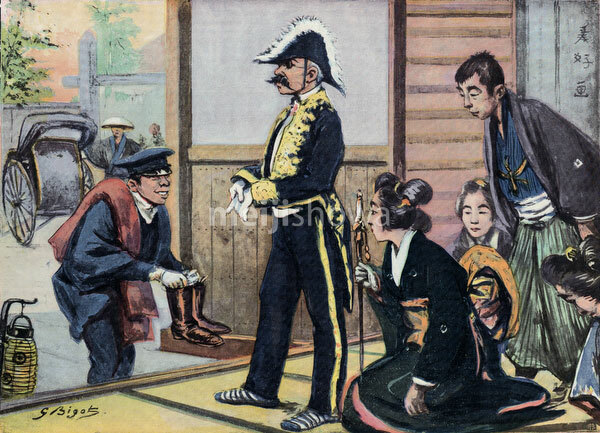 Art by French artist Georges Ferdinand Bigot (1860-1927), famous for his satirical cartoons of life in Meiji period Japan.